Washington Square Press, 9780671014995, 208pp. "Mournful, insightful, and mystical. It is also Mosley's best work of fiction." "A wonderful book...[with] characters who seem as real as the reader." "Mosley has constructed a perfect Socrates for millennium's end -- a principled man who finds that the highest meaning of life can be attained through self-knowledge, and who convinces others of the power and value of looking within." "Powerful...hard-hitting, unrelenting, poignant short fiction." "Mosley's style suits his subject perfectly. The prose is sand-papery, the sentence rhythms often rough and jabbing. But then -- sudden surprise -- we come upon moments of undefended lyricism." 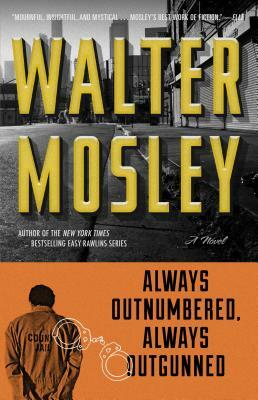 "Unveiling a new, bigger-than-life urban hero...Mosley...confer[s] on the mean streets of contemporary L.A. what filmmaker John Ford helped create for the American West: a gun-slinging mythology of street justice and a gritty, elegiac code of honor...A maverick protagonist." "An insistently probing, philosophical gem...set in a world where standard notions of right and wrong have been blown to hell." "The work of a writer unafraid of pushing forward his own notions of responsibility and entitlement."